And also informed that RETIRED teaching/non teaching employs of medical reimbursement bills also submitting through onllne only. Already passwords, logins and Instructions are issued. 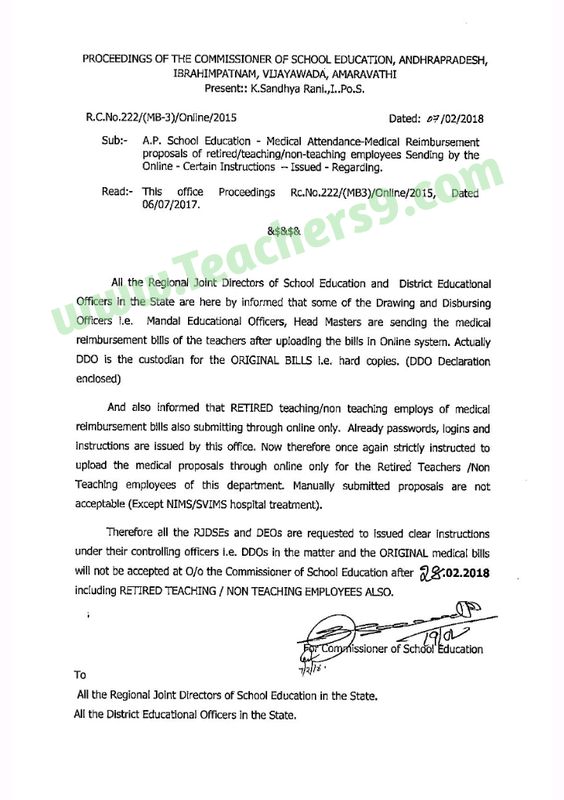 Now therefore once again strictly instructed in upload the medical proposals through online only for the Retired Teachers [Non Teaching employees of this department. Manually submitted proposals are not acceptable (Except NIMS/SVIMS hospital treatment).